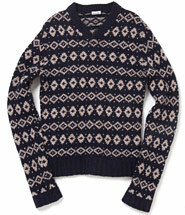 The Duke of Windsor popularized Fair Isle sweaters in the 1920s. 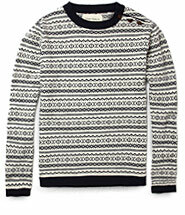 They're not the traditional Fair Isle patterns of classic intarsia sweaters. 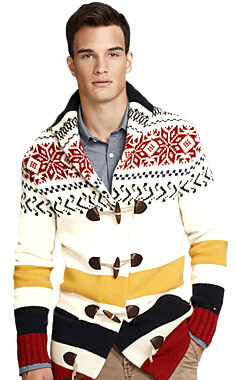 These are bold mixes of colors, patterns and hardware with a roguish, rakish bravado. 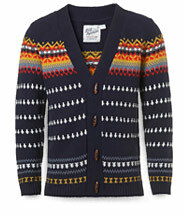 Topping the season's standouts is this lambswool cardigan by Tommy Hilfiger—an apres ski intarsia pattern up top, Hudson's Bay blanket stripes on the bottom, with wooden toggles and a contrasting shawl collar. 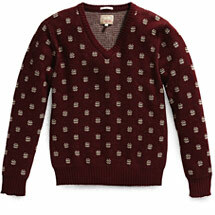 For something a bit less bold, Oliver Spencer and Gant Rugger offer more monochromatic takes. Too busy? Not if you keep the rest of your colors restrained and sophisticated.